Pata de Vaca is a small tree native to the tropical rainforests of Peru, Brazil, Argentina, Paraguay and Asia. It grows to heights of around 5-10m and produces 7-10cm long leaves that are shaped like a cow’s foot. It is these leaves which are prepared to make an infusion or leaf tea. Infuse one teabag in a cup of boiling water for 3-5 minutes. Drink 3 cups per day – one after each main meal, or as recommended by your practitioner. Pata de Vaca will potentiate antidiabetic and insulin medications, and should therefore be used with caution by those taking these medications as levels will need to be adjusted. 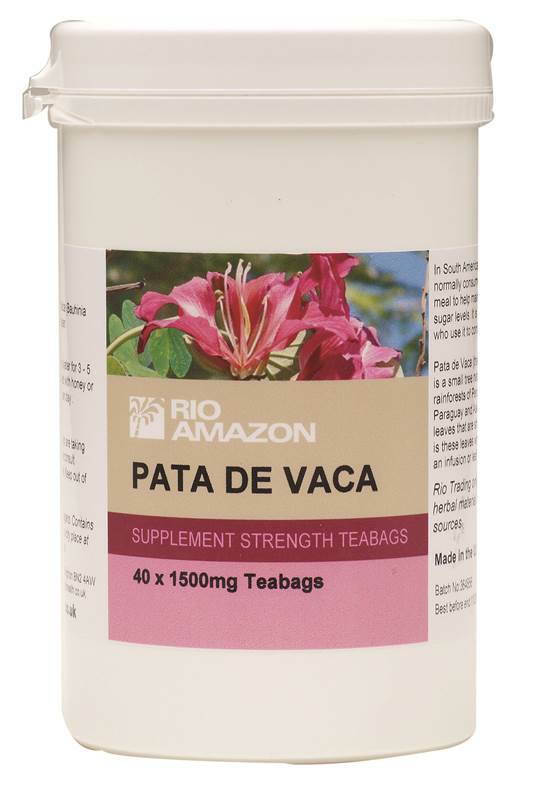 Pata de Vaca lowers blood sugar levels and is contra indicated in those with hypoglycaemia. Diabetics who wish to use Pata de Vaca should do so under the supervision of a practitioner, as blood sugar levels will need to be carefully monitored.